Lt. Jeff Wood was working Christmas Eve at the Charles County Sheriff’s Office in Maryland when he received a call to rescue an American icon. A bald eagle was found on the side of a road in Bryantown, the sheriff’s office stated. Wood, not only a shift commander but also a falconer, gathered his gear and made his way to the scene. The nearly 12-pound female bird of prey allowed itself to be gently scooped up by Wood and placed in a transport box. Wood took the eagle to Owl Moon Raptor Center in Boyds about 70 miles away. “Turns out this beautiful creature had a broken right wing,” the sheriff’s office stated on Facebook. 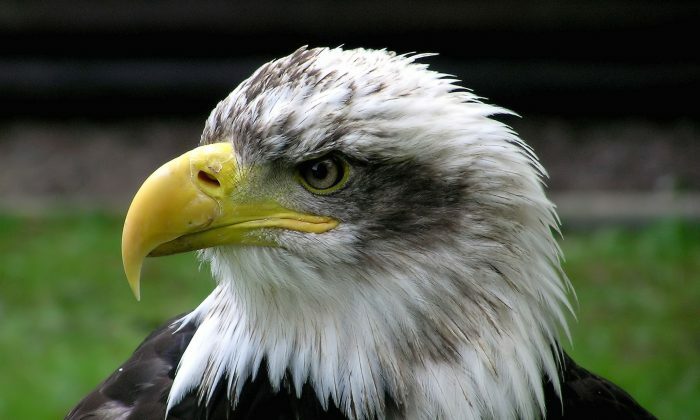 The eagle may have fractured its coracoid bone—which connects the shoulder to the breastplate—due to striking a power line, suspected Suzanne Shoemaker, director of the Owl Moon Raptor Center, according to Fox News. The bone is necessary for flying and so the eagle’s wing was wrapped to make it immobile while the bird faces a two-month recovery. The eagle might have to be euthanized if it won’t recover, Shoemaker said, because caring for the birds is expensive and complicated. But its condition has been improving and Shoemaker said she was optimistic. “If there’s any hope, she will be given a full attempt to recover and be released,” she told Fox. The Owl Moon Raptor Center receives about 200 birds of prey a year but focuses on emergency care. 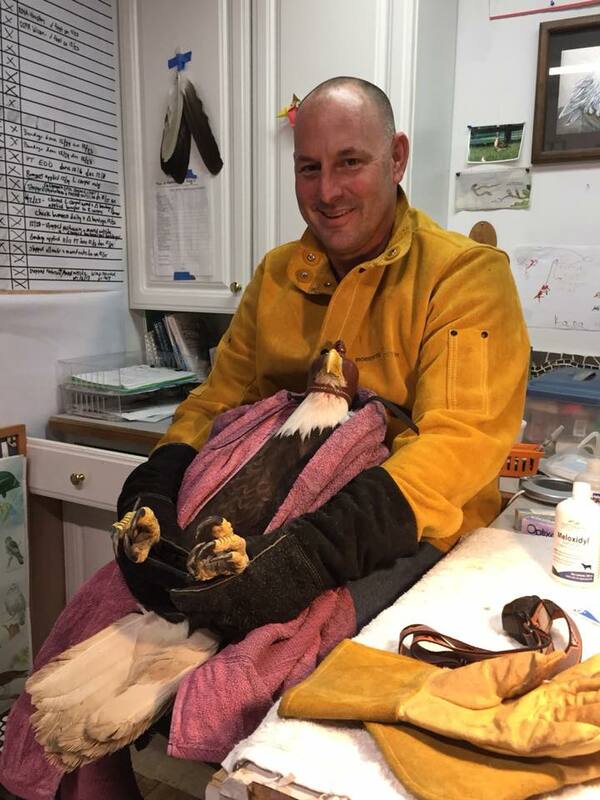 The eagle will therefore be moved to Tri-State Bird Rescue for the rest of its recovery. The bird is about 40 inches long and can squeeze with the strength of up to 400 pounds of pressure with its talons—about 10 times the strength of a human hand.